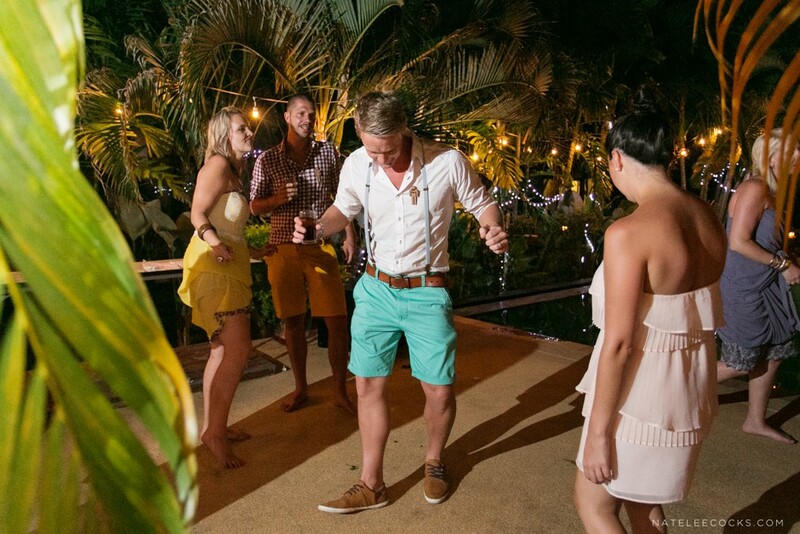 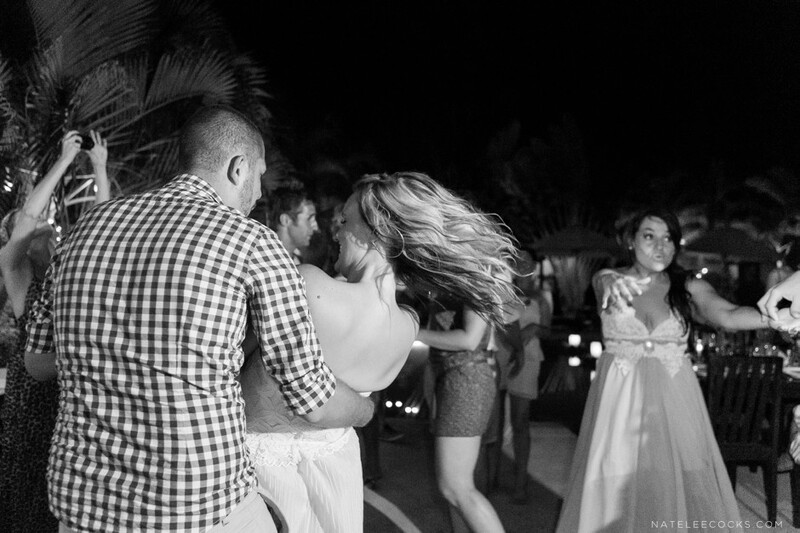 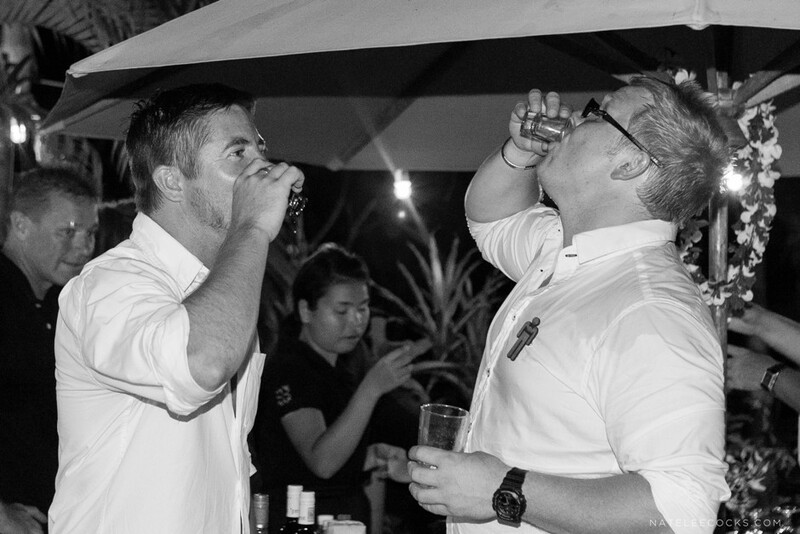 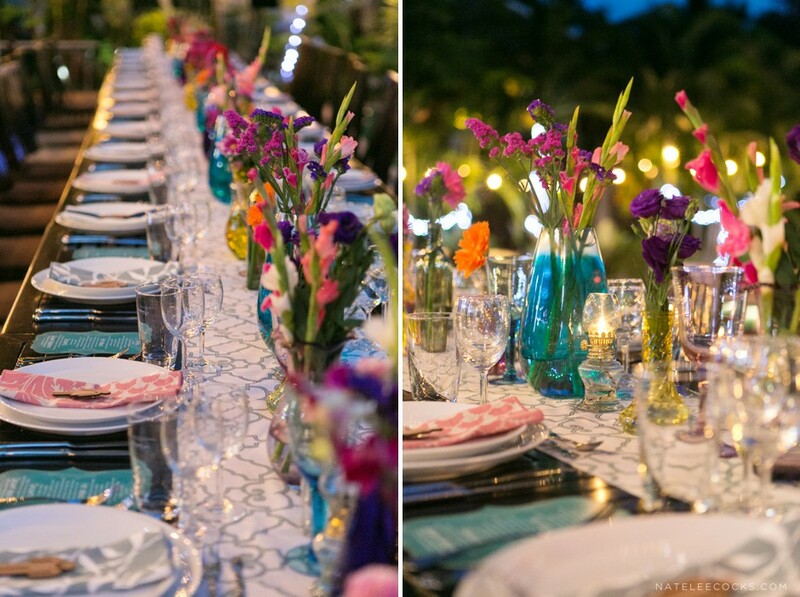 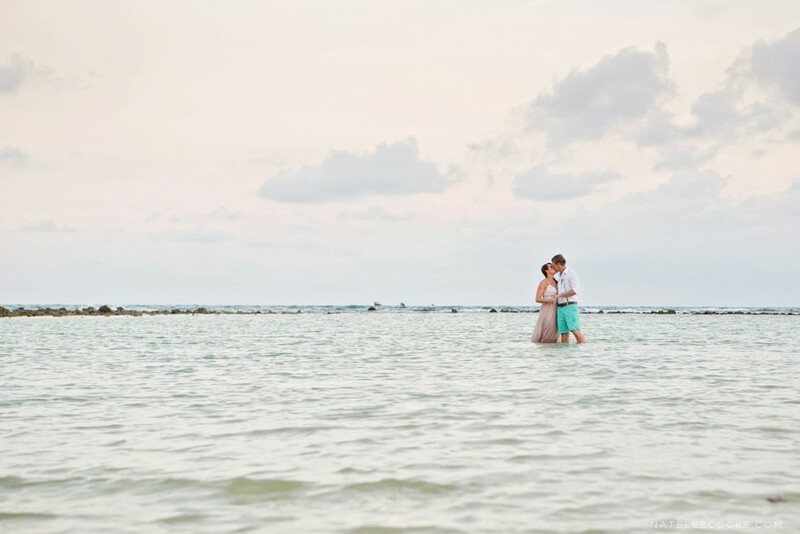 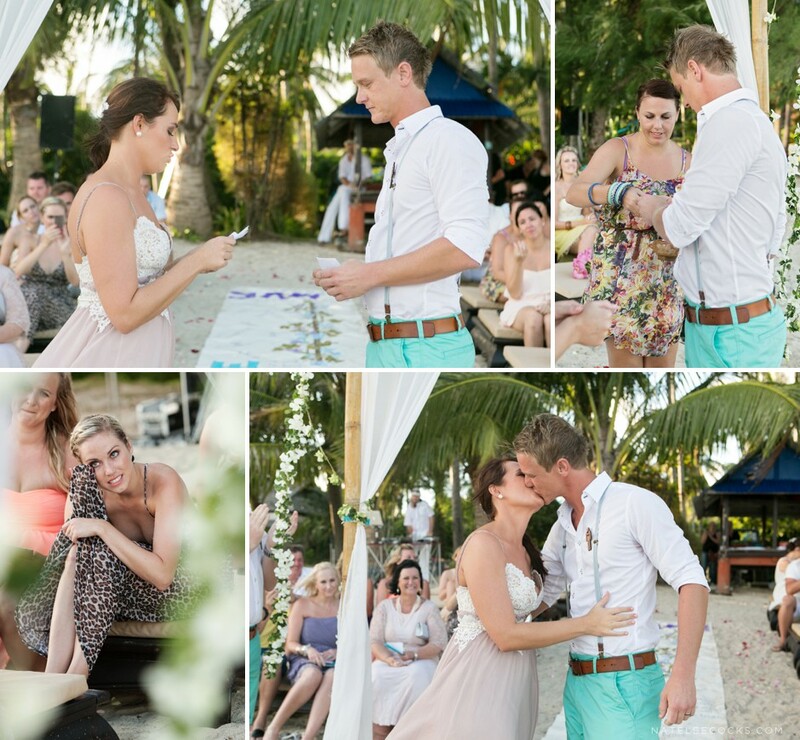 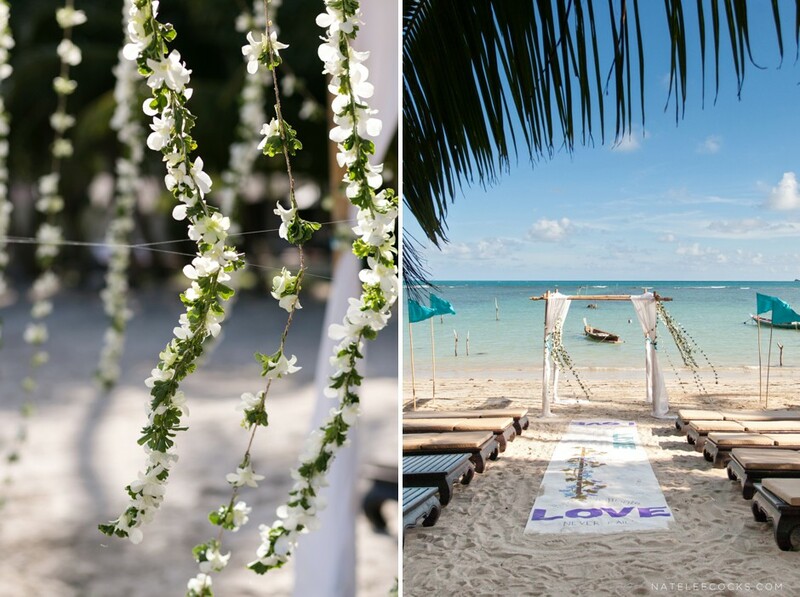 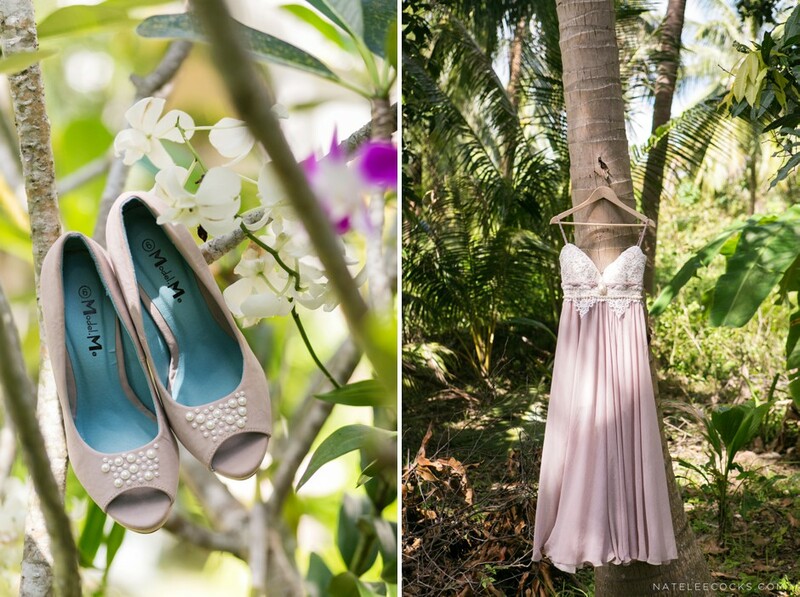 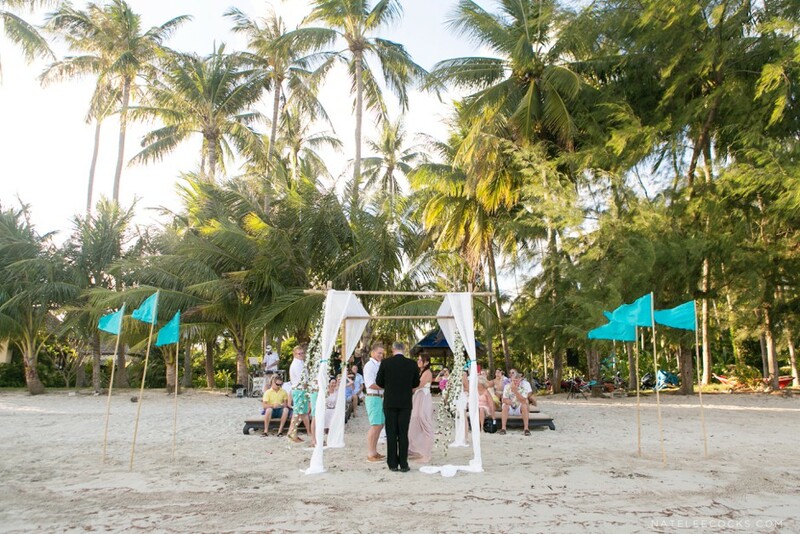 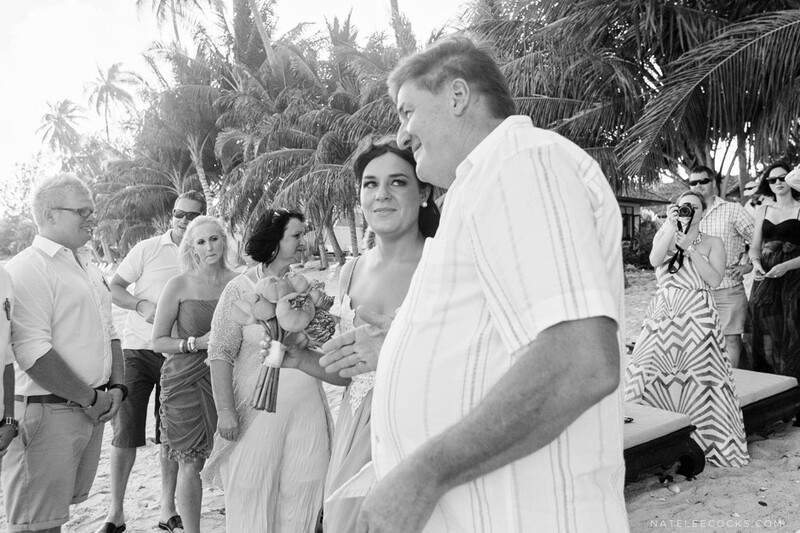 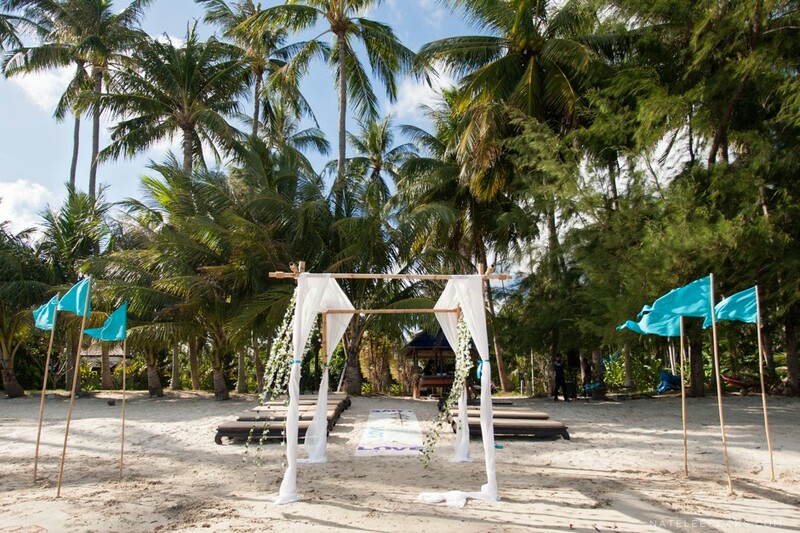 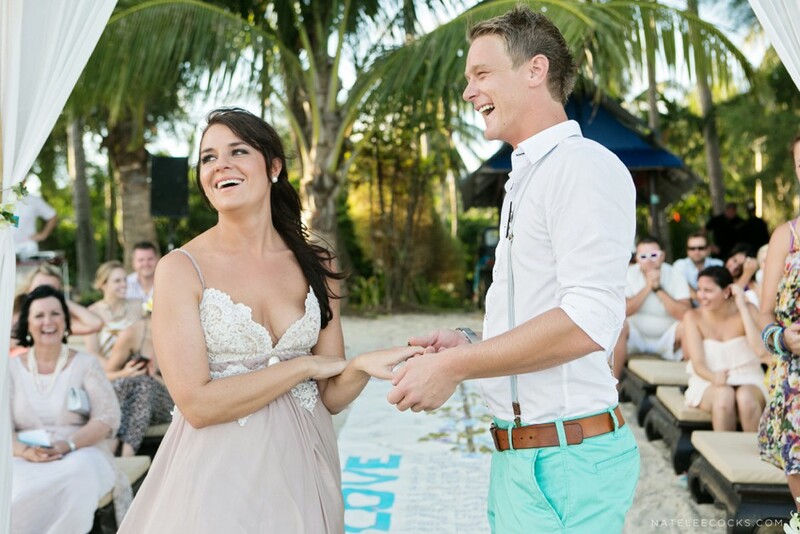 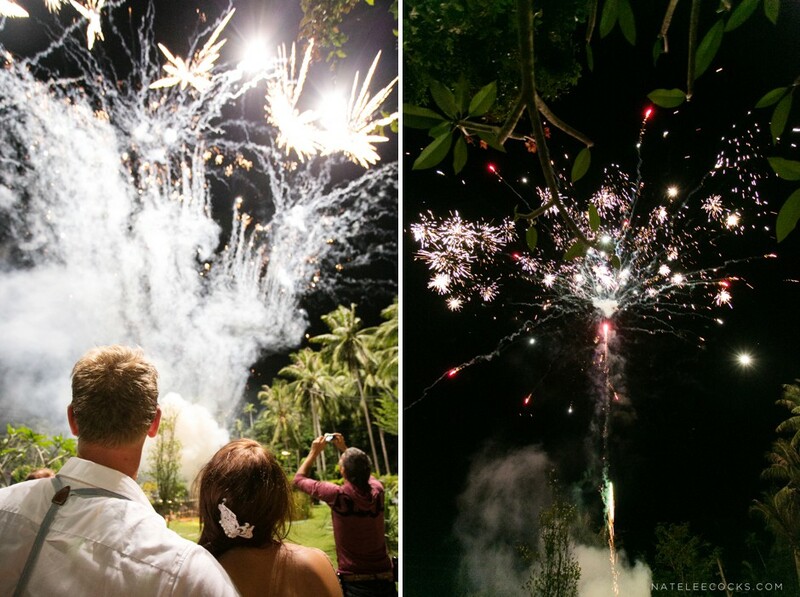 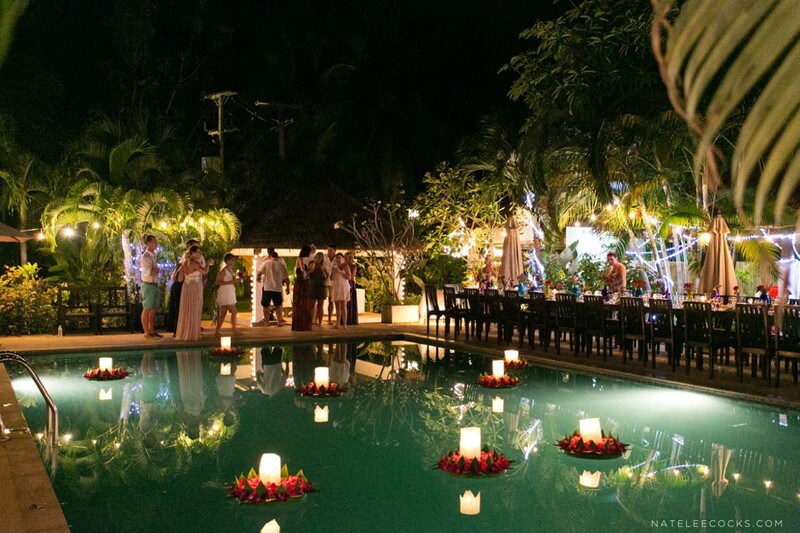 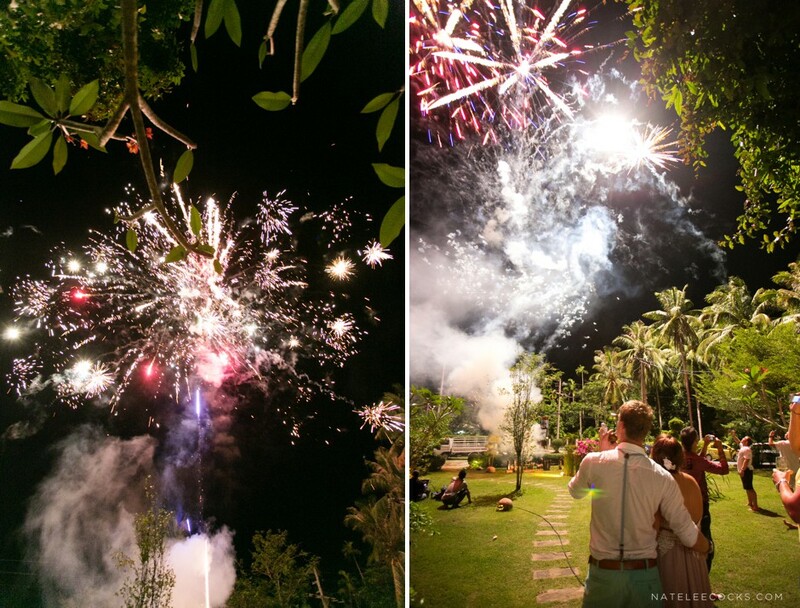 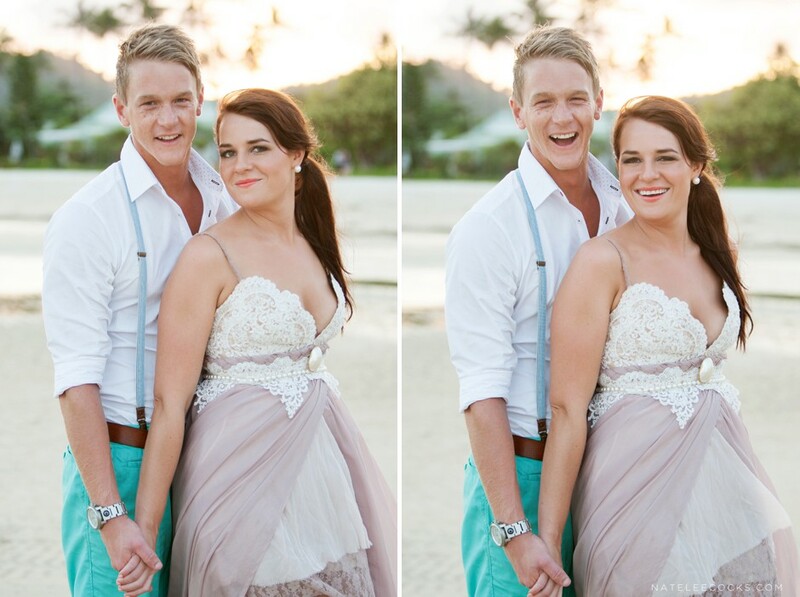 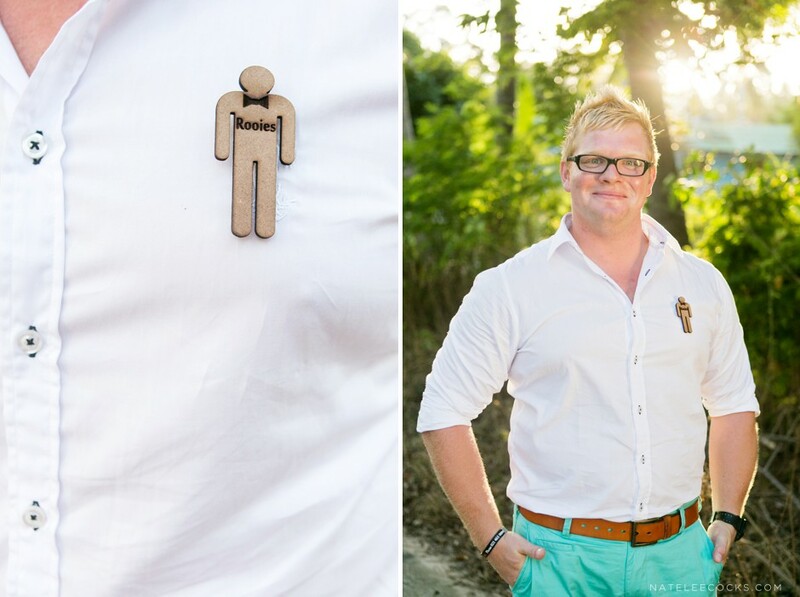 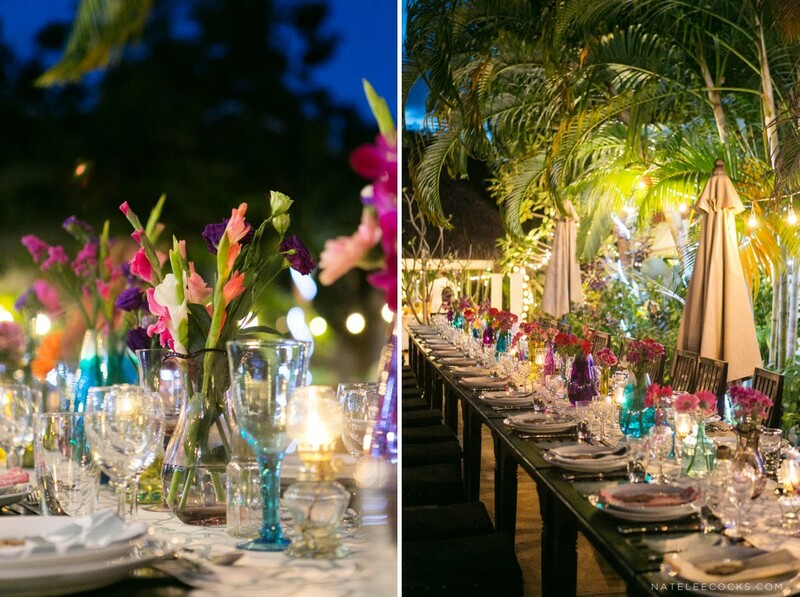 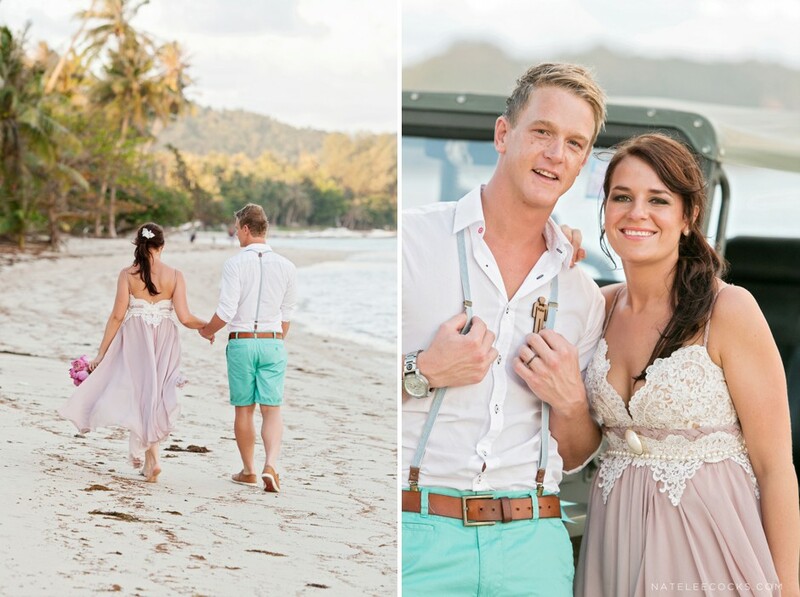 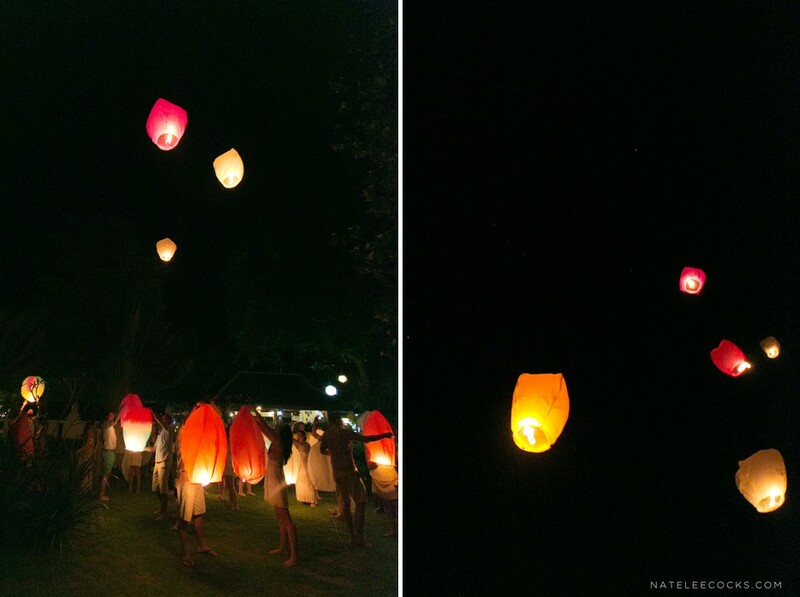 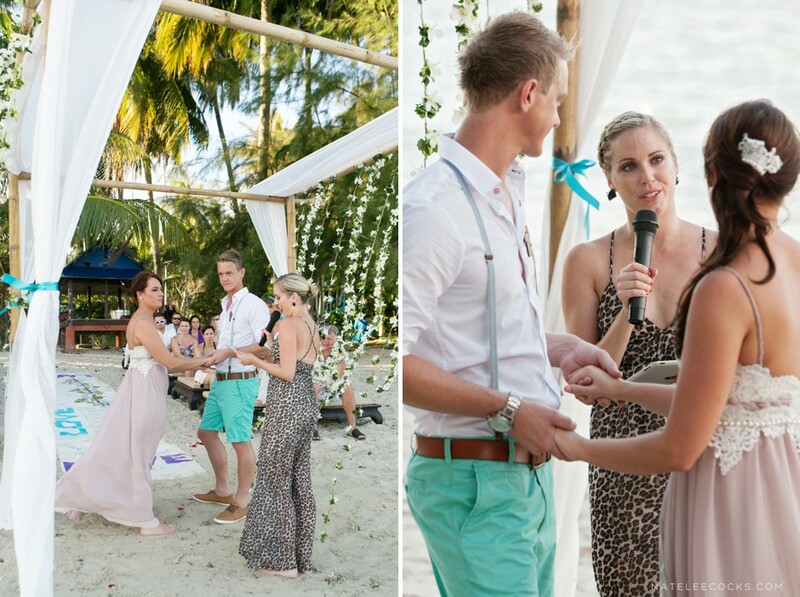 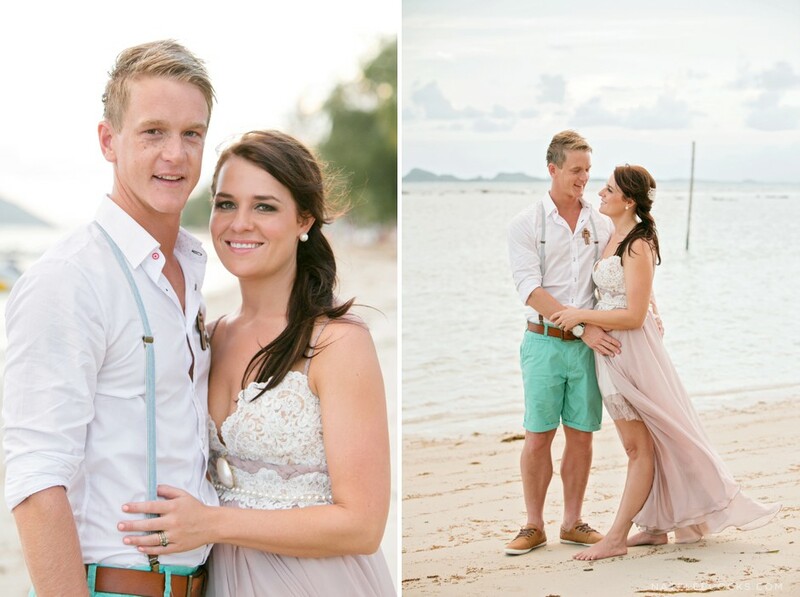 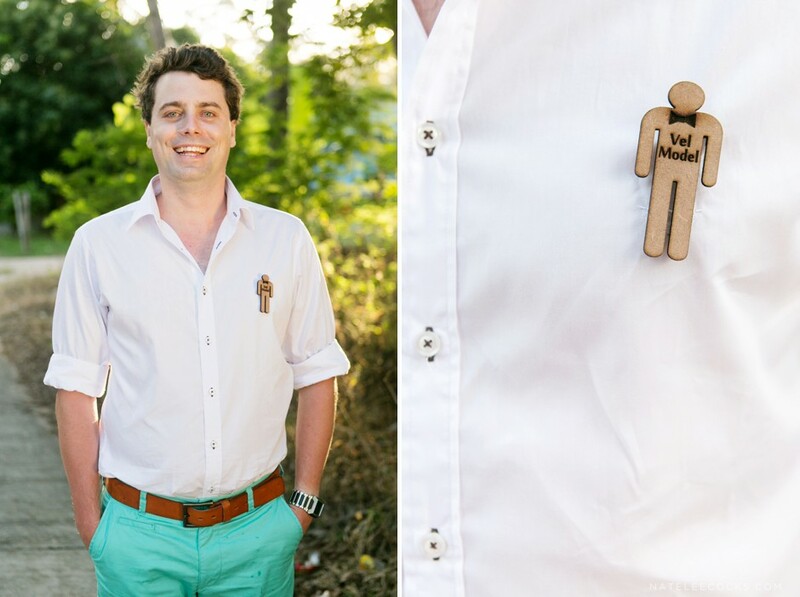 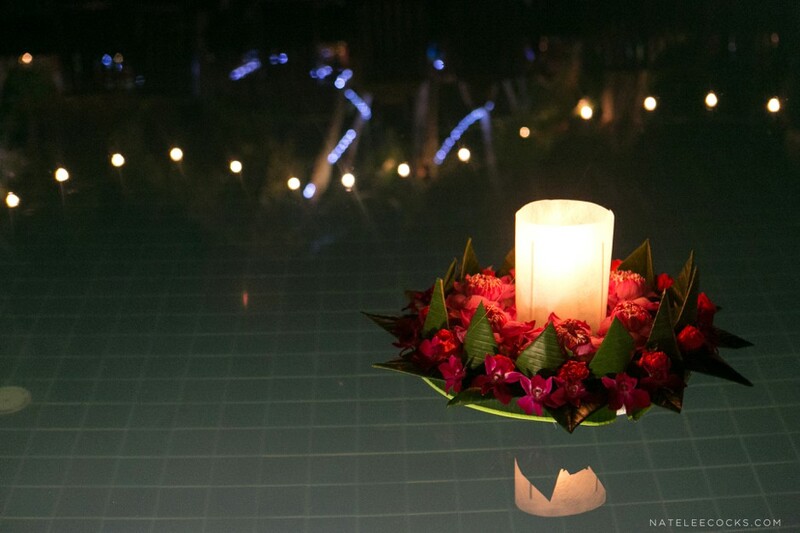 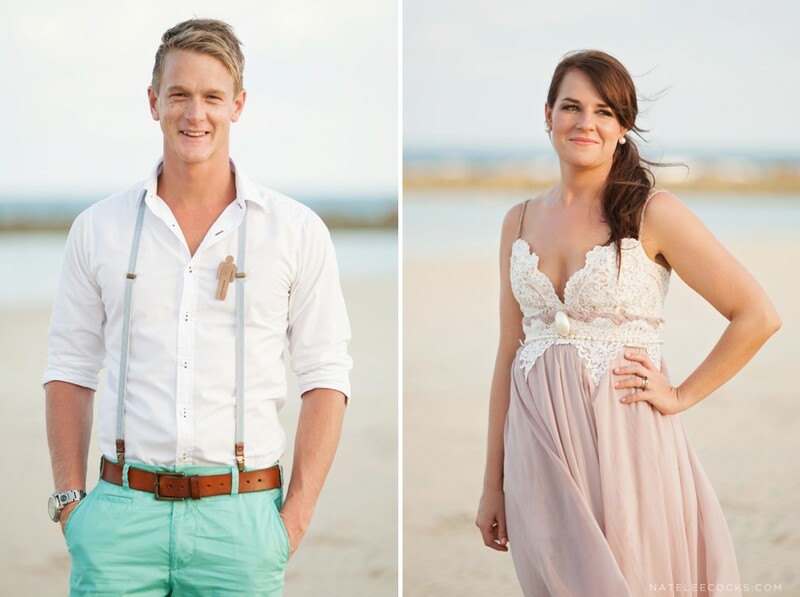 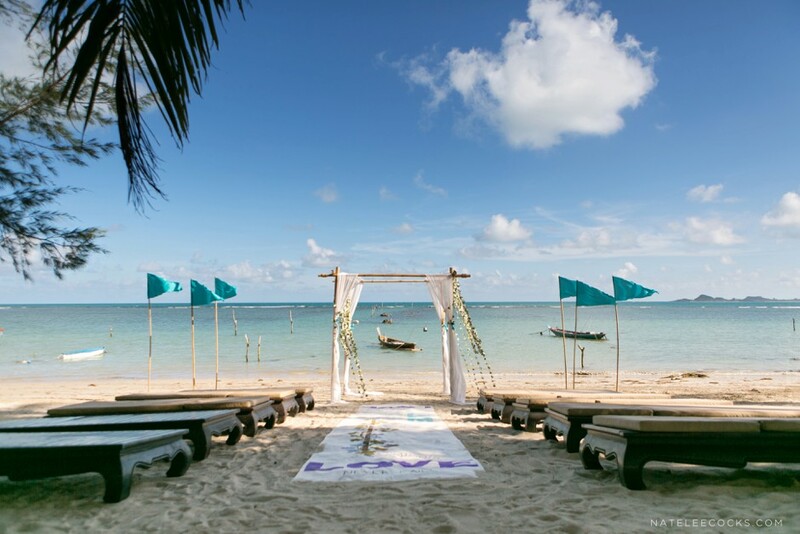 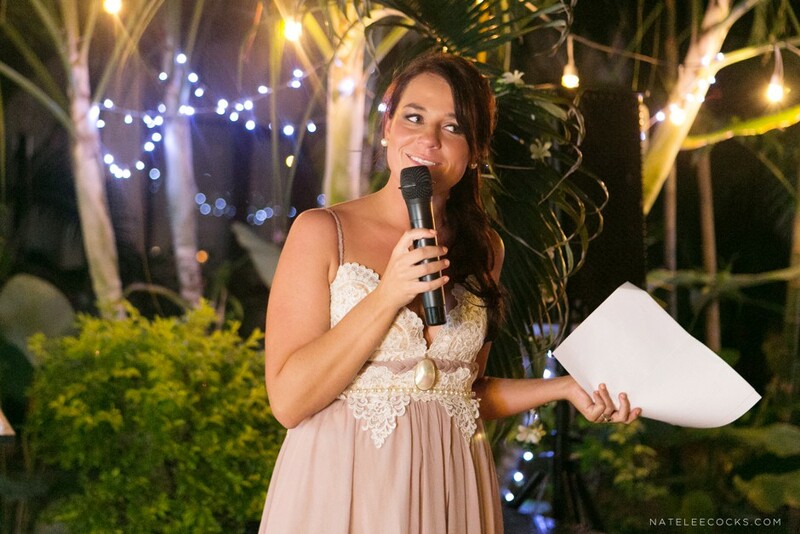 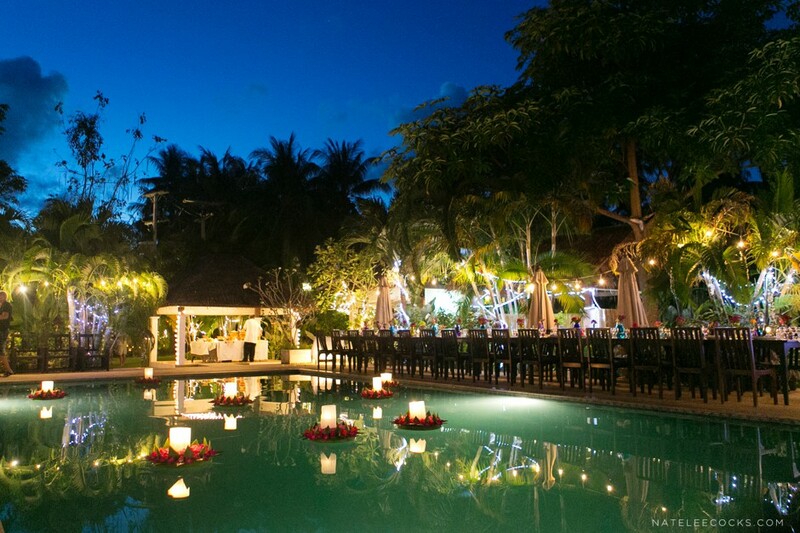 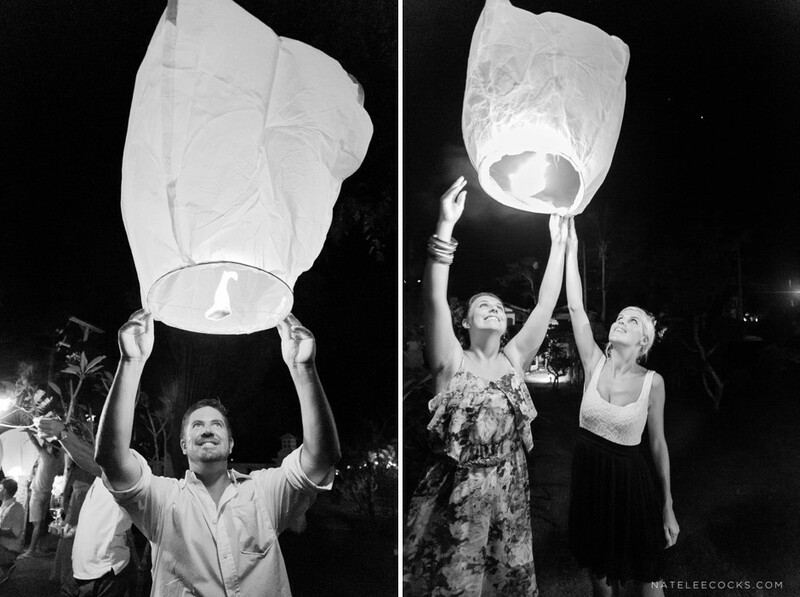 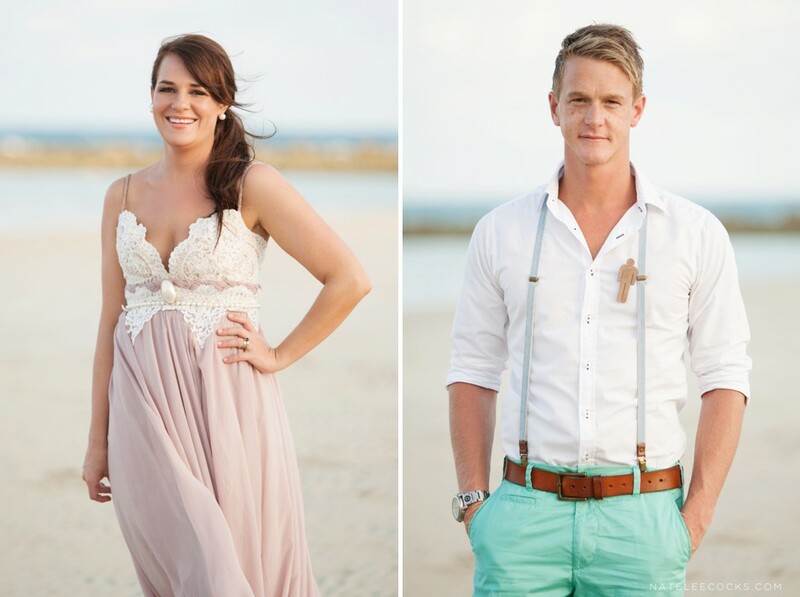 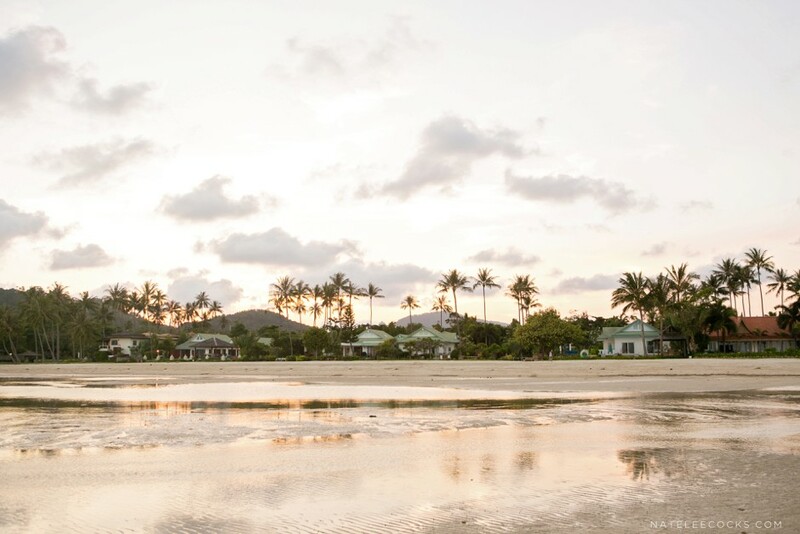 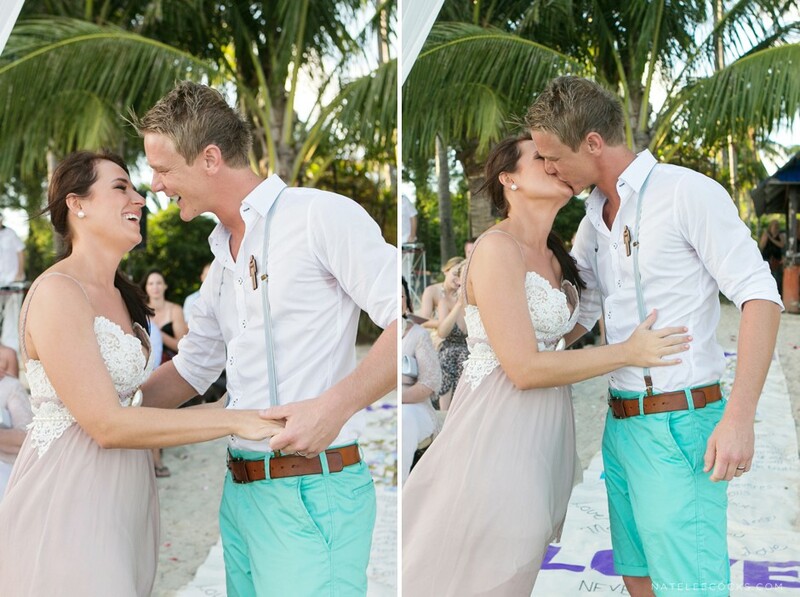 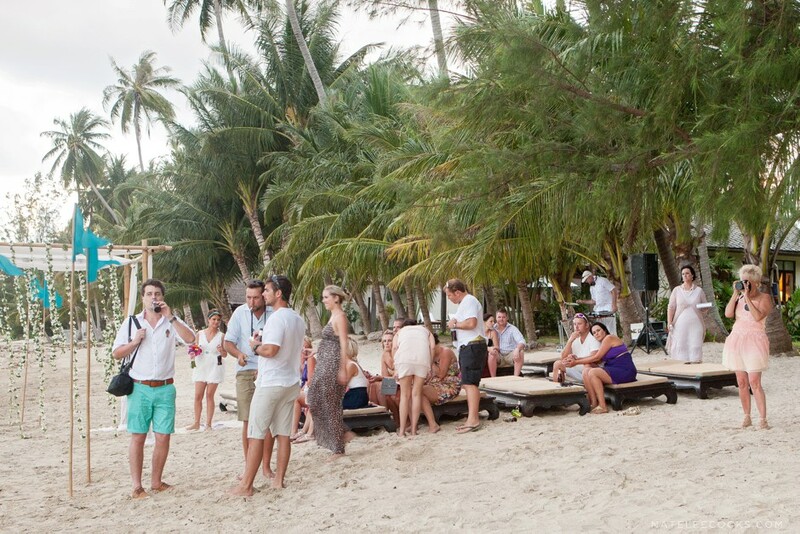 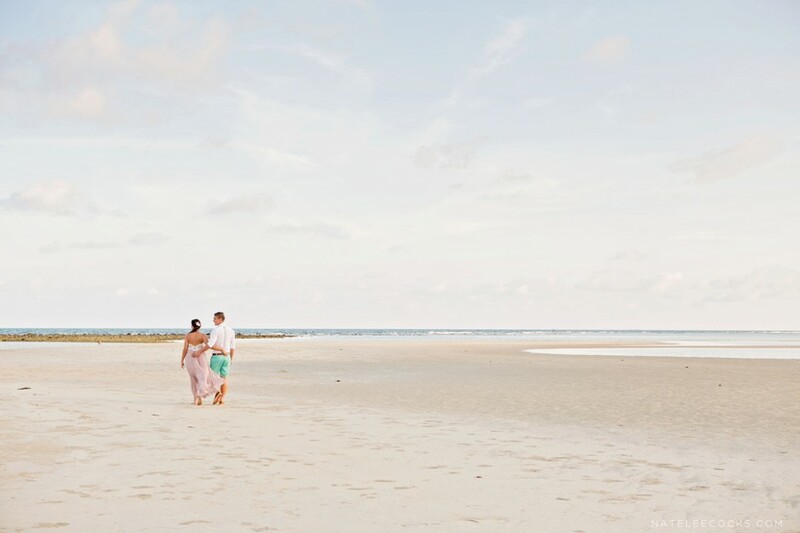 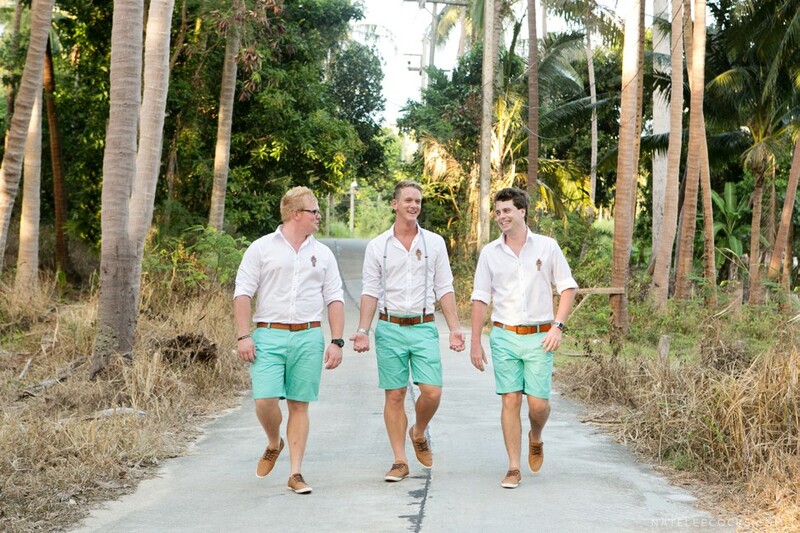 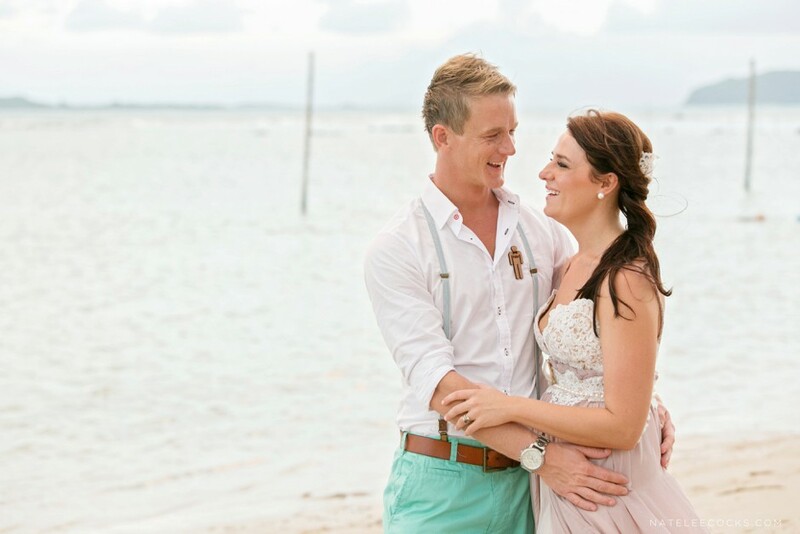 Marita & Ryno’s Koh Samui Wedding in Thailand– A destination wedding with 33 of your closest. 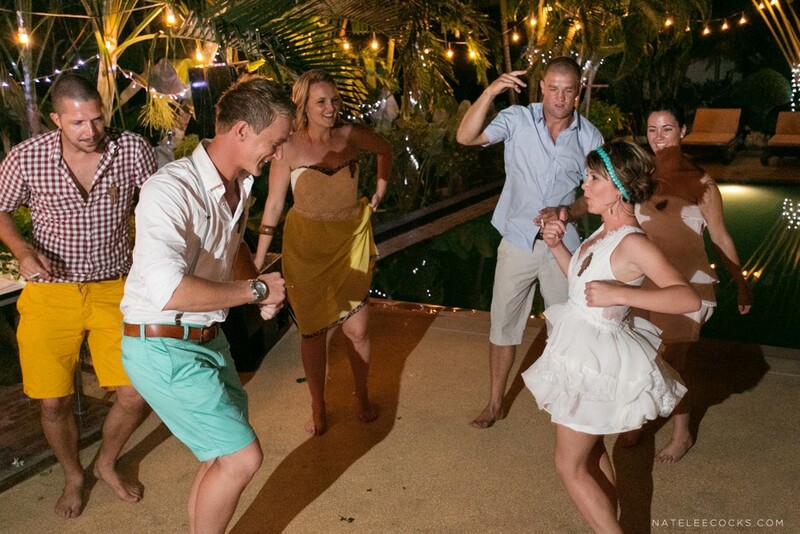 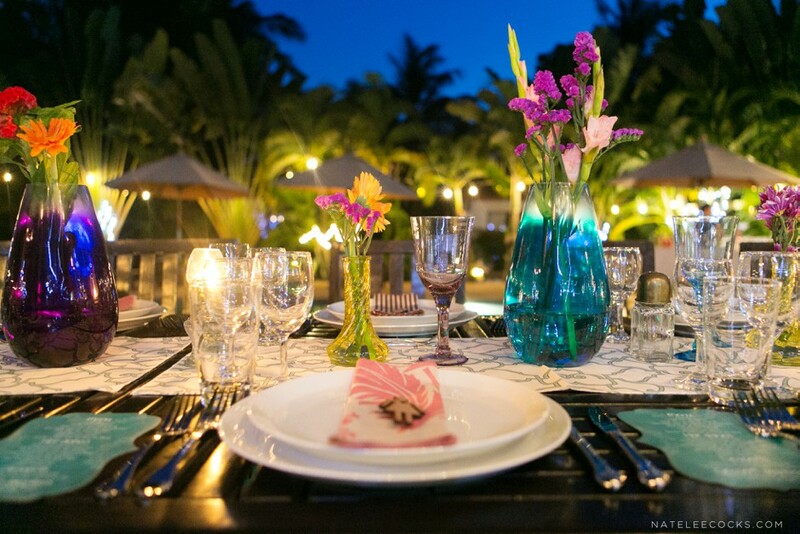 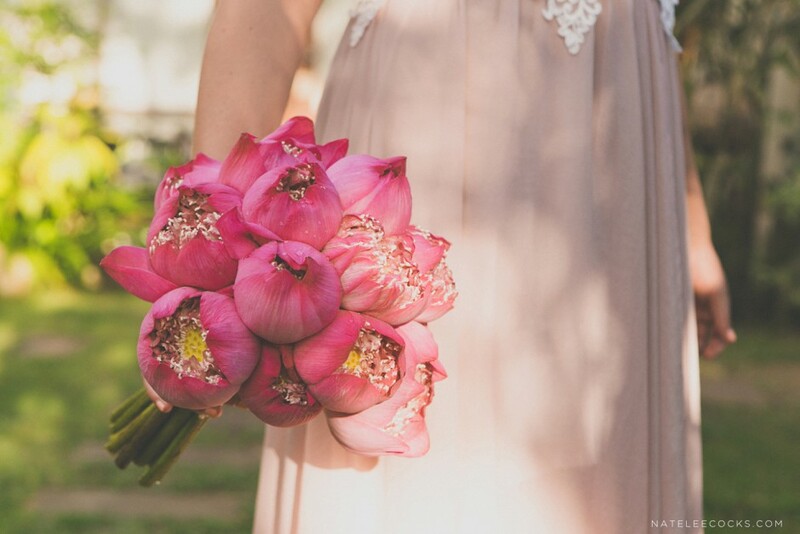 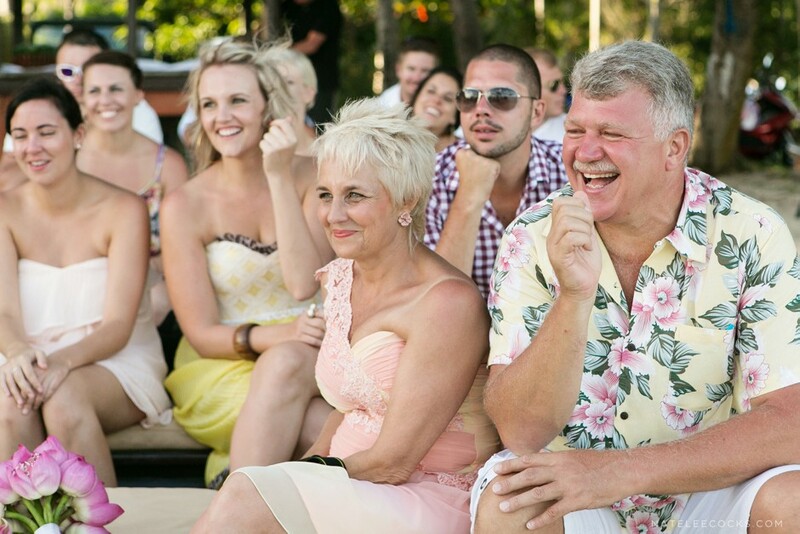 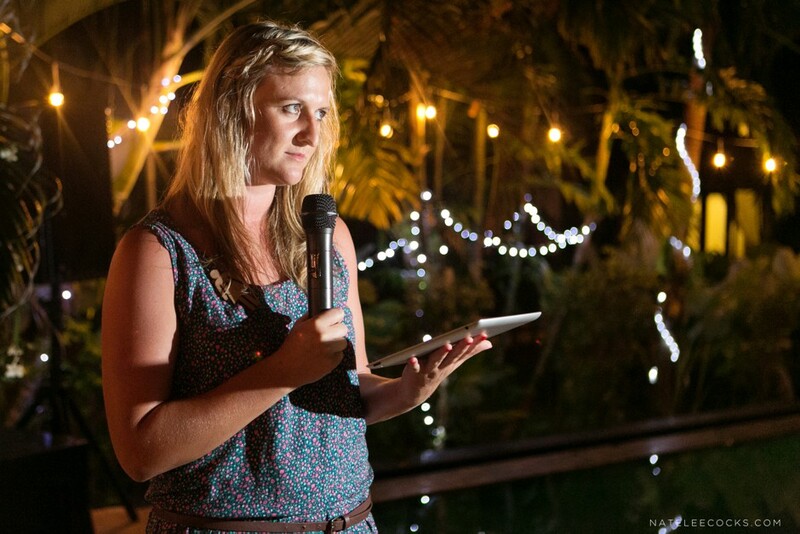 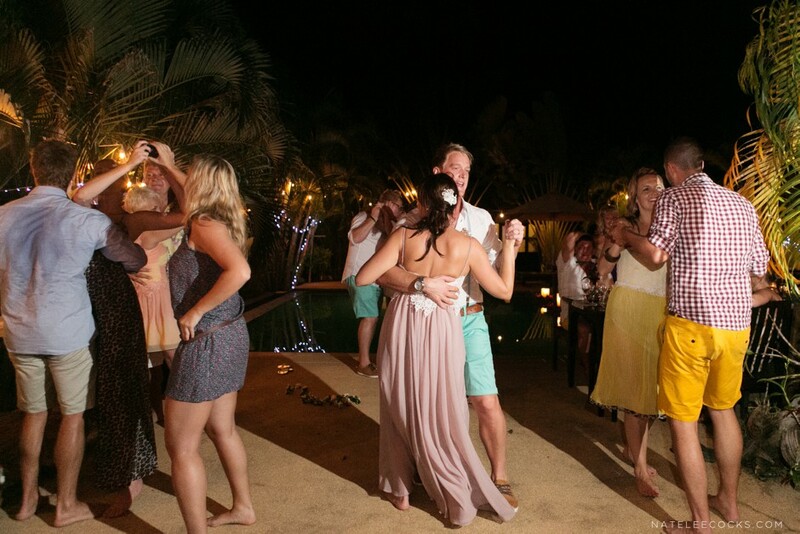 The two week wedding celebration in brides words: “With a group of 33 close friends and family, all wearing flowers wreaths around our necks and traveling together from South Africa to Thailand, you can expect nothing less than loads of laughter, excitement and many funny stories. 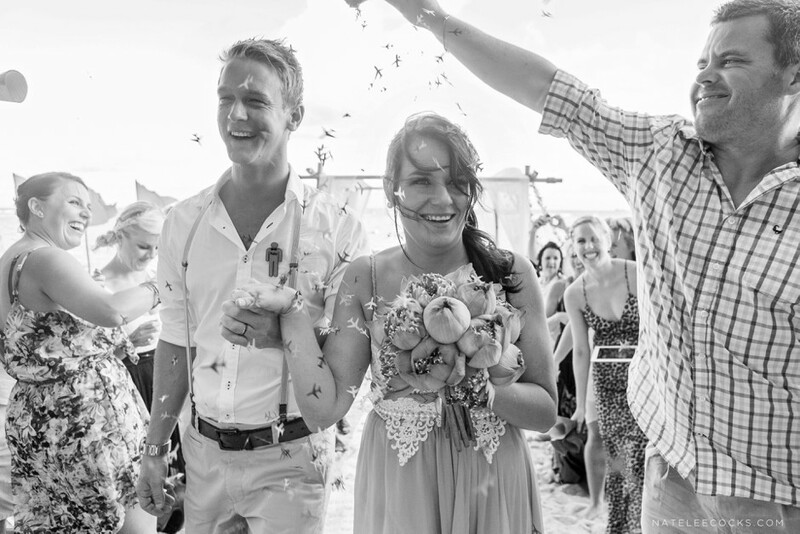 It included forgetting the wedding dress in the airplane, us running around like a bunch of mad people to ensure we don’t miss the next flight (that was about to depart and was just waiting for us) and many card games to make the long stop-over in Abu Dhabi pass quickly. 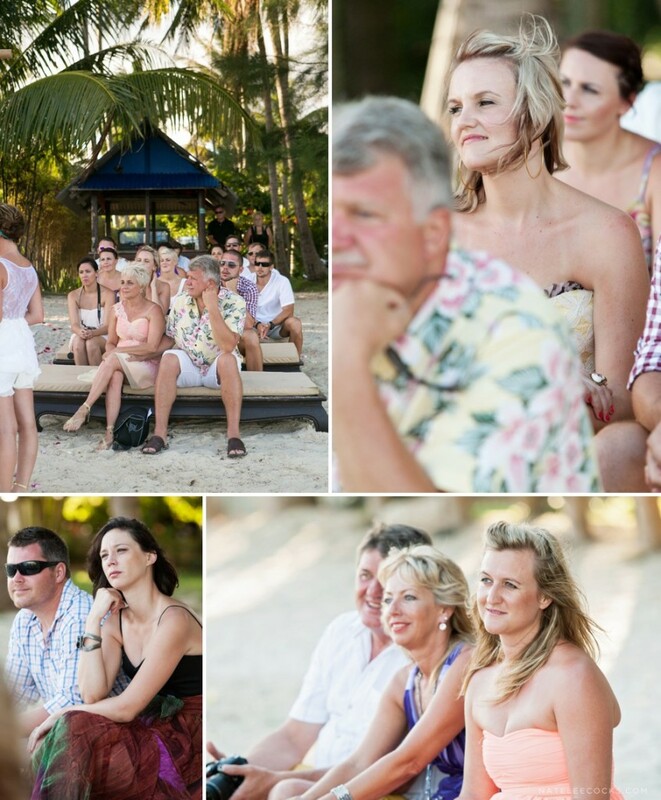 It was priceless to see some of our family and friends faces when they first experienced the busy streets of Bangkok and then how they were “in awe” of the beauty of Thailand’s islands. 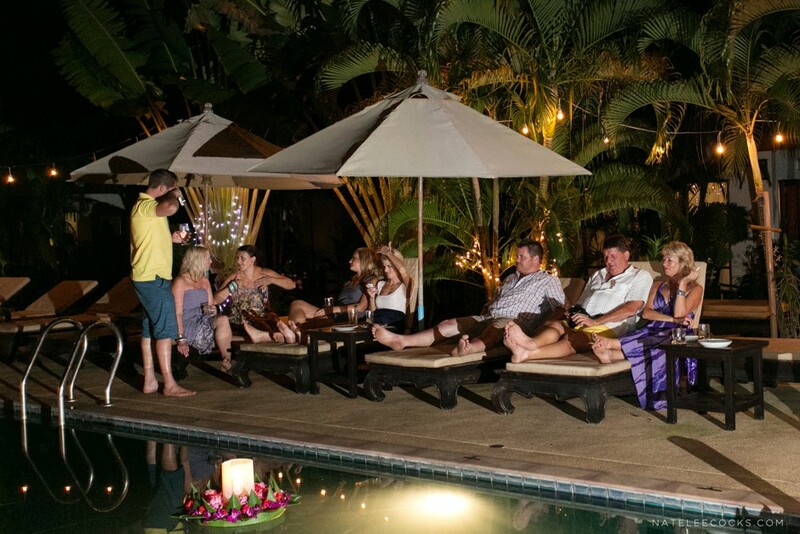 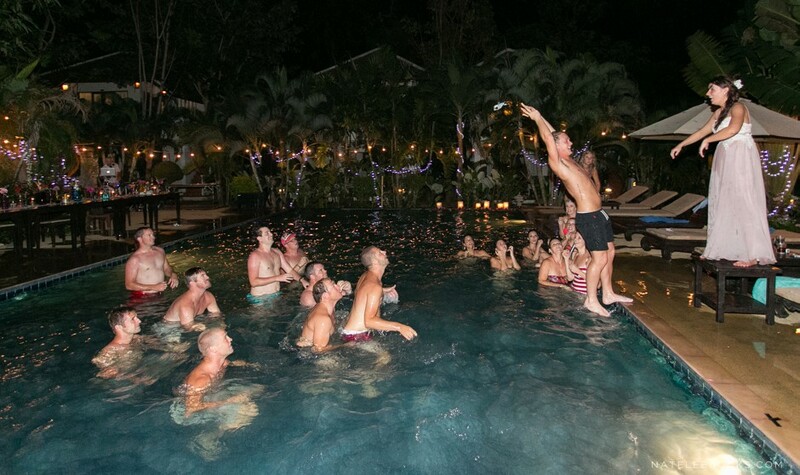 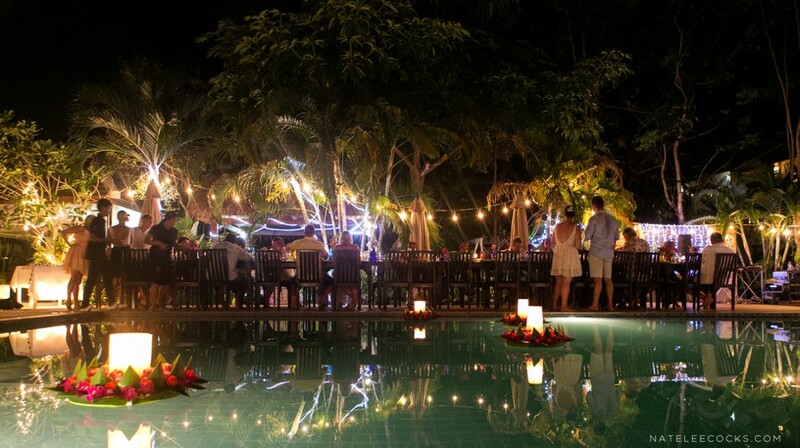 We also had an awesome bachelor and bachelorette at the famous full moon party on KOH PHANGANG, which is an unforgettable experience in itself. 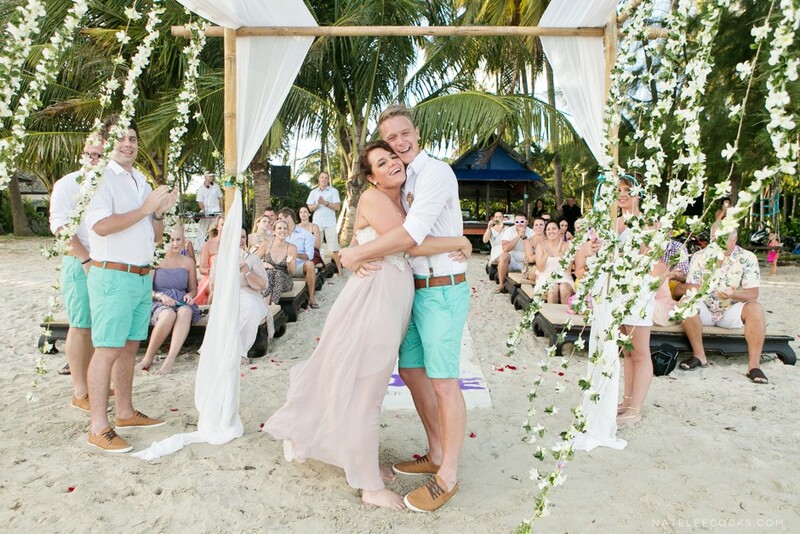 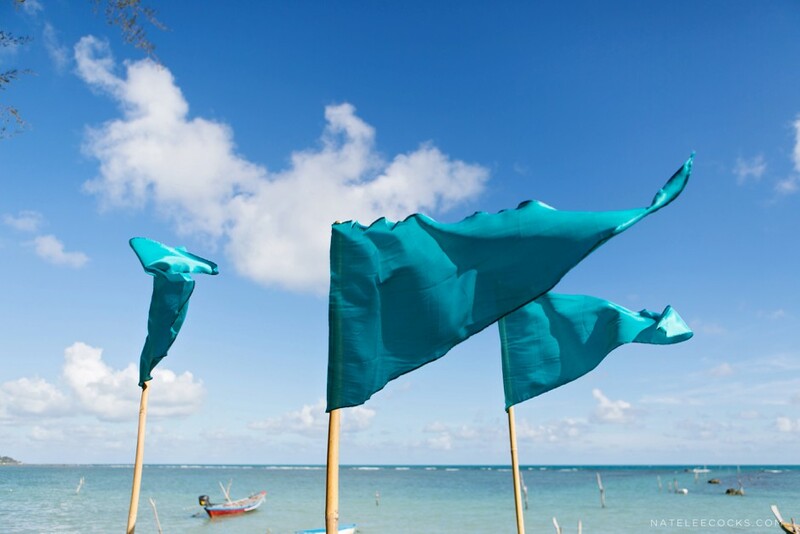 It was a two-week wedding celebration with the people we love most, spending our time sunbathing, swimming, and driving around the island with scooters, scuba diving and lots of cocktails and massages. 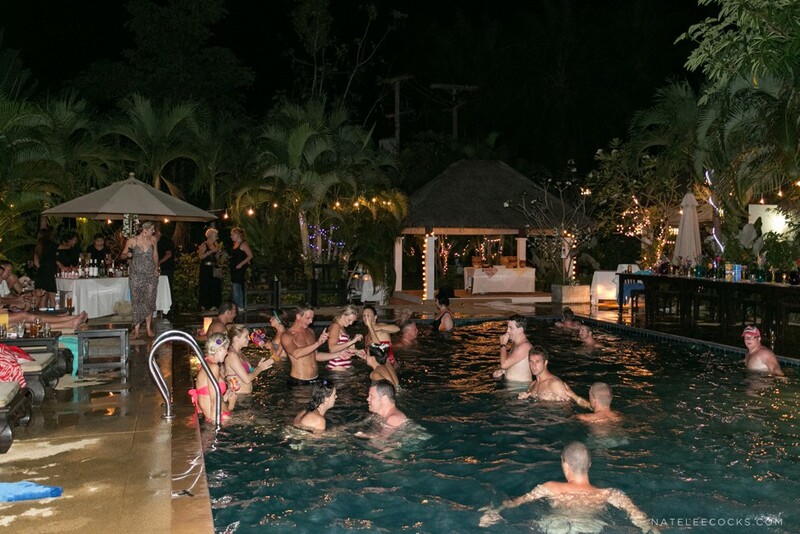 Everyone stayed at the EASY TIME RESORT, Koh Samui where we got married for a couple of days before and after the wedding, so the morning of the wedding started out to be very relaxed with everyone lazing around the pool, the last couple of girls getting their nails done and the boys going for a Thai massage to ensure the nerves were calm. 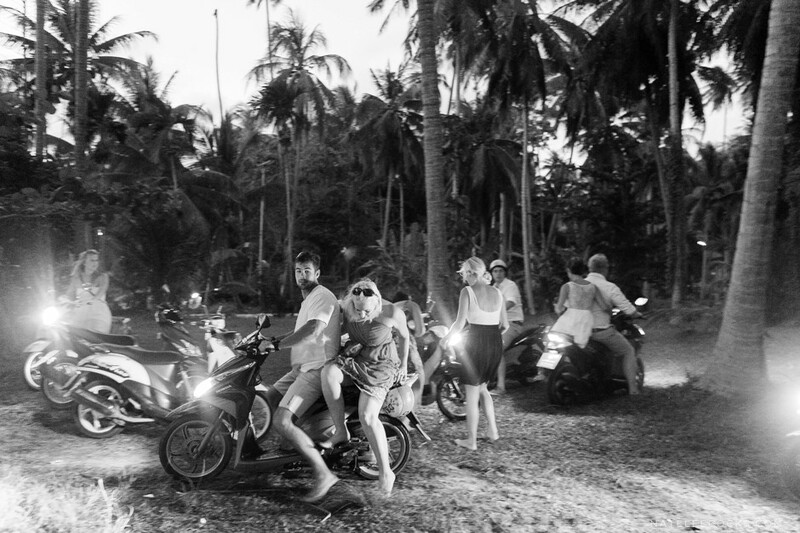 The “grooming” process was a big group effort as I am so blessed to have a group of super talented friends. 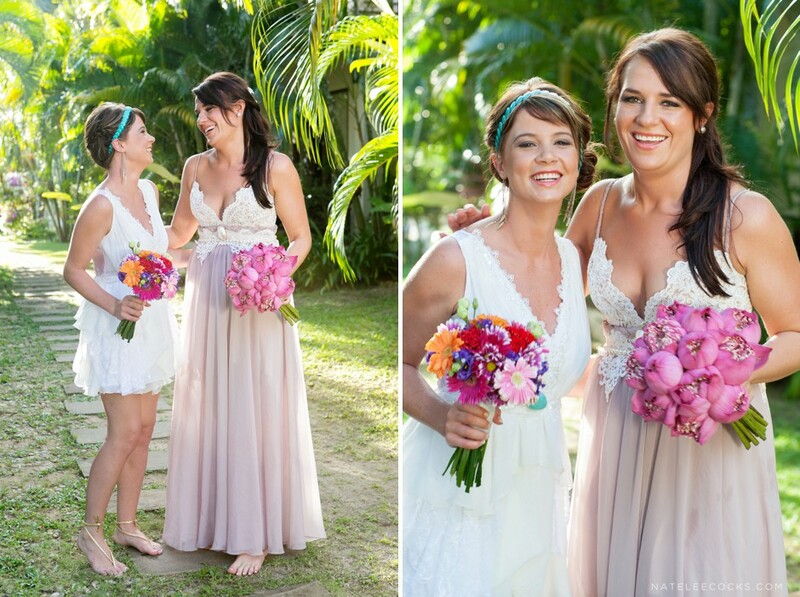 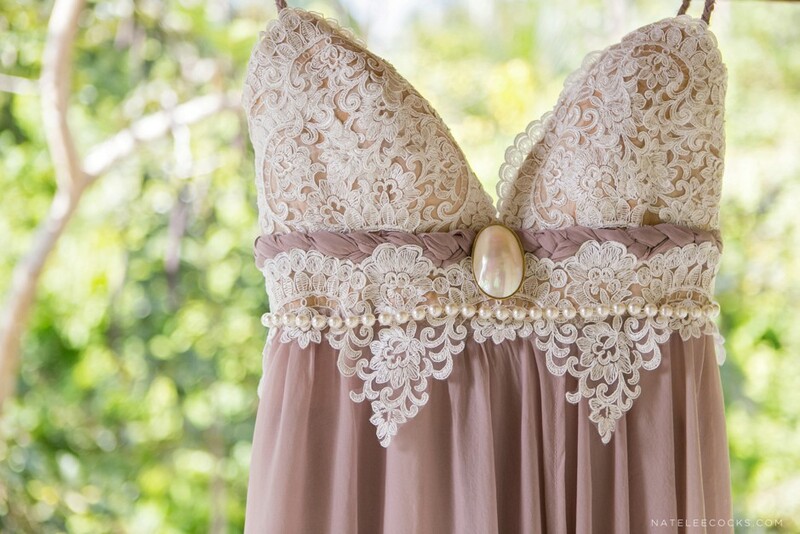 One friend made the dress; another did the make-up and another, the hair. 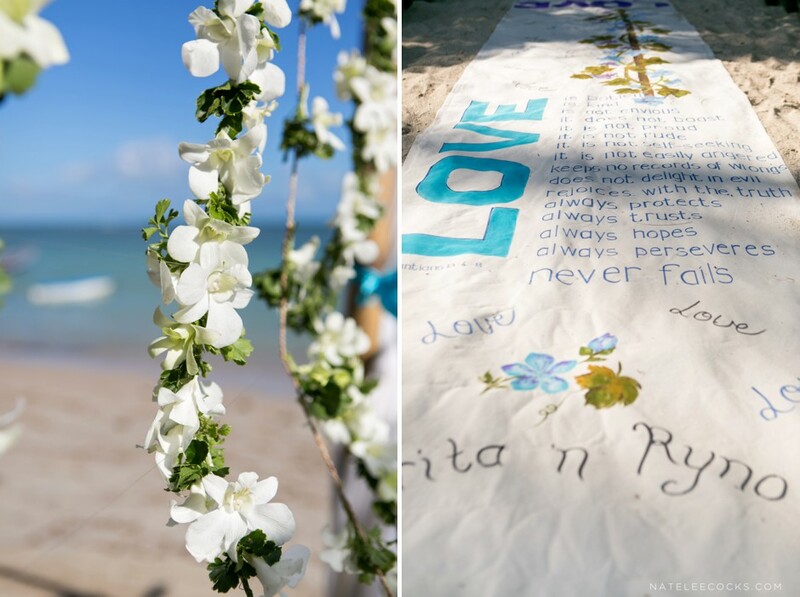 This wedding will always have a very special place in my heart, sharing this special journey with Marita & Ryno an their closest.